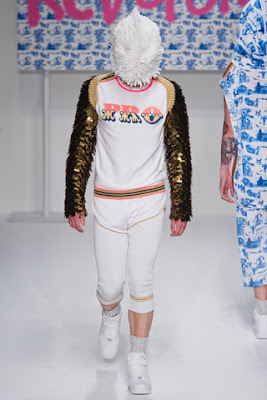 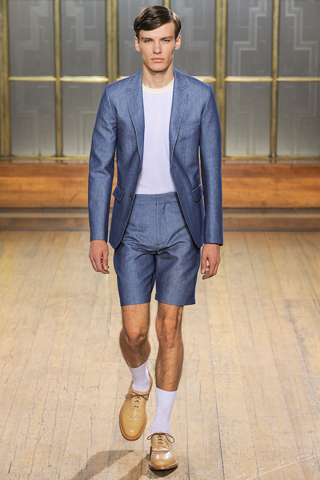 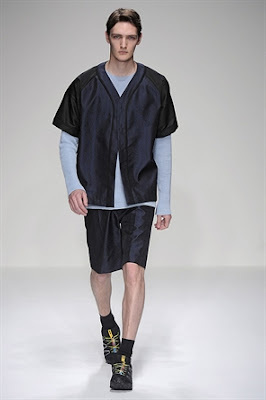 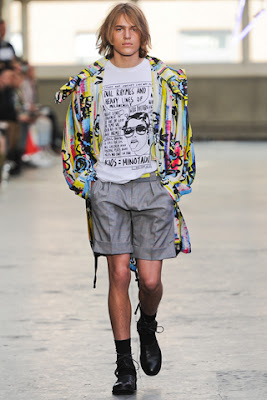 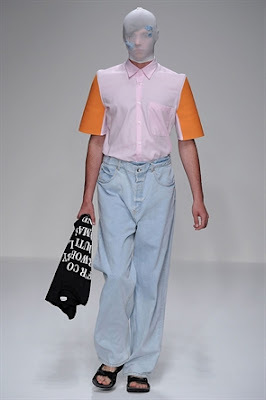 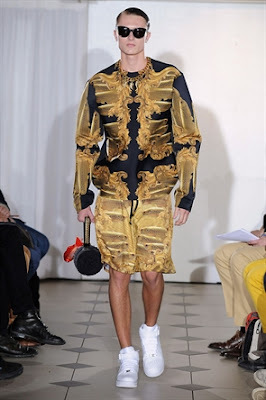 PART 2 of my Picks from London Collections: Men comes with Boxy Tops, Prints and Texture galore. I'm a sucker for a symmetrical print like at Katie Eary as well as the somewhat feminine yet masucline print at Topman Design. I'm beginning to see a trend of structured sleeveless blazers and stiff arms, I'm liking the 'starchy look' in the shirts (adding dimension to my oh so skinny arms). 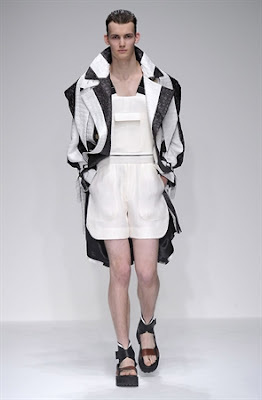 Xander Zhou was a standout for me. Simple fine Stripe and Lattice prints with traditional and boxy pieces. 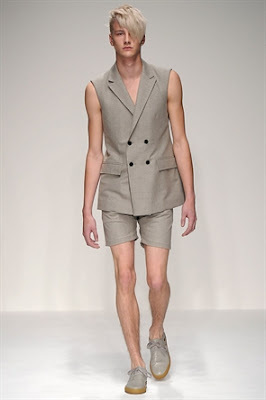 I'm going to have to fast track now, with the Menswear Show Season slowly coming to an end. Next up is Florence! 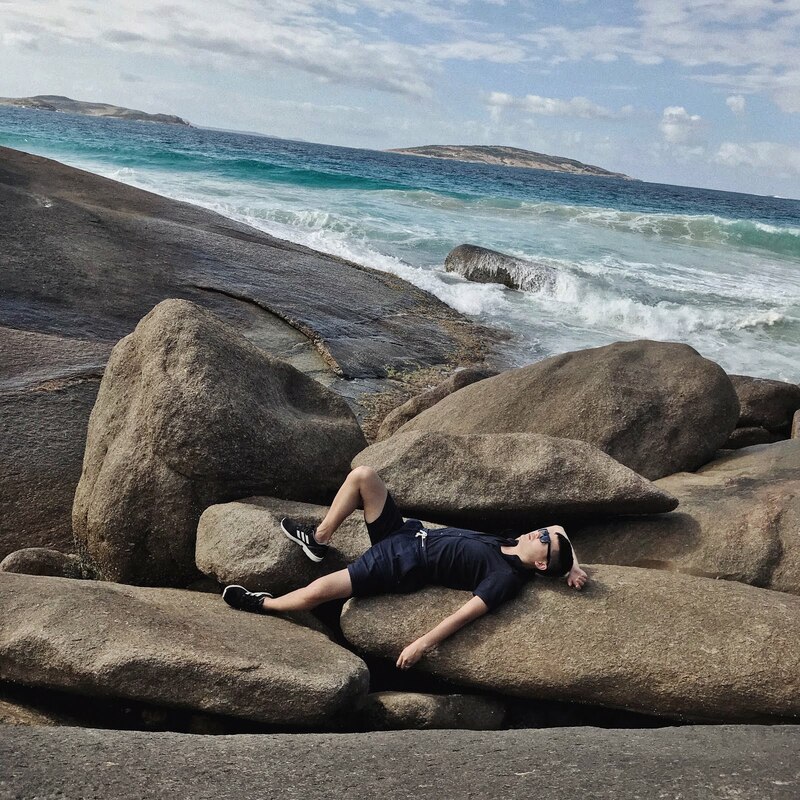 - If you haven't already check out PART 1 Here.